With the all-new 2009 Journey, Dodge delivers a stylish and functional crossover vehicle that offers a number of innovative features, including handy storage compartments, an easily expandable cargo space, and clever standard features like illuminated cupholders and a rechargeable LED flashlight. The Journey's four-cylinder engine, which drives the base SE trim, feels underpowered to some owners, while others find fault with the Journey's suspension and handling, and a number of new owners have reported design and fit-and-finish problems typical of a first-year vehicle. Emphasizing convenience and functionality over performance and luxury features, the new 2009 Dodge Journey should appeal to busy, budget-minded families seeking a well-equipped family hauler for around-town commuting. The Journey comes equipped with a number of nifty and innovative features, but lacks in key performance areas. However, safety features are among the best in its class, which should add to its appeal to couples and family drivers. The all-new 2009 Dodge Journey combines elements of a minivan, SUV, and wagon to create what the automaker calls a "right-sized" crossover vehicle. Sharing a platform and some styling cues with the Dodge Avenger sedan but adding 5 inches to the wheelbase, the Journey seats five passengers in two rows with optional third-row seating (for up to seven passengers total) and offers a variety of storage and cargo spaces, as well as a number of innovative features. The seating cushion of the front-row passenger seat, for instance, flips up to reveal under-seat storage, while in-floor storage bins in front of the second-row seats provide additional storage options. The in-dash Chill Zone keeps beverages cool, while illuminated cupholders make it easy to locate drinks while driving at night. The Journey even comes equipped with a rechargeable LED flashlight, which rides in its own pocket in the cargo area. The front-wheel-drive Journey comes in SE, SXT, and R/T trims, and it's also offered in all-wheel-drive SXT and R/T trims. 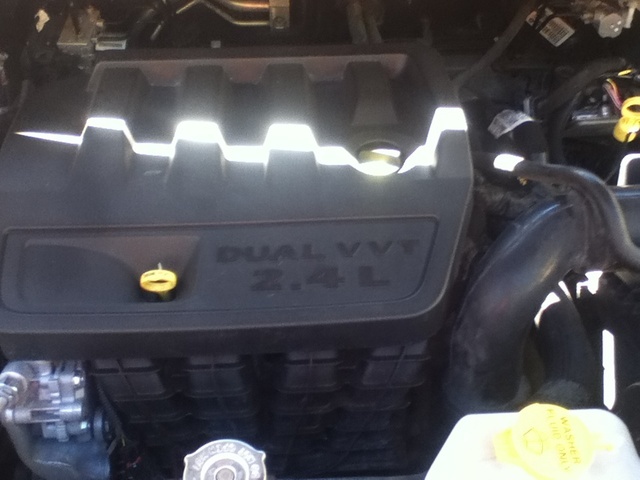 A four-cylinder engine powers the SE, while a V6 engine drives the SXT and R/T trims. The Journey offers the best fuel economy of any vehicle in its class, according to Dodge. The Journey sits higher than a typical minivan or wagon, giving drivers good views of the road. Exterior design features include muscular lines from front to rear, sculpted fender flares, and a tapered roofline. Most consider the exterior styling sleek and contemporary, though some find it unexciting. A 173-hp, 2.4-liter four-cylinder engine, which Dodge dubs its World Engine, powers the SE trim. The engine features variable valve timing, which helps improve fuel efficiency, and generates 166 lb-ft of torque. 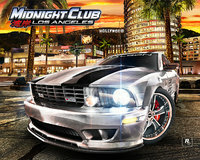 It links to a four-speed automatic transmission. The four-cylinder achieves fuel mileage ratings of 19/25 city/highway mpg, which makes the Journey the most fuel-efficient vehicle in its class, the automaker notes. A 235-hp, 3.5-liter V6 engine amps up the power for the SXT and R/T trims. It produces 232 lb-ft of torque and connects to a six-speed automatic transmission with AutoStick, which enables drivers to shift manually. The V6 manages fuel mileage ratings of 16/23 for front-wheel-drive trims and 15/22 for all-wheel-drive trims. The Journey's all-wheel-drive system operates on demand, which helps reduce fuel consumption. The vehicle operates in front-wheel drive the majority of the time, but when the system detects wheel slippage, it automatically transfers power to the rear wheels to provide extra traction and ensure balanced power. The system also activates during emergency situations on dry roads, or when drivers engage in performance driving. The Journey's optional Trailer Tow Prep Group adds towing equipment as well as an engine oil cooler. In addition, a Trailer Sway Control system automatically applies braking when it senses the trailer sway to help the driver maintain control of the vehicle. Properly equipped, the Journey can tow up to 3,800 pounds. The Journey rides on a four-wheel independent suspension with MacPherson struts in the front and a multi-link suspension in the rear. The SE trim's normal-duty suspension upgrades to a Touring suspension for the SXT front-wheel-drive trim. It's tuned for a more spirited ride and handling. The SXT all-wheel-drive and R/T trims come equipped with a Performance suspension, designed for a quick response and aggressive handling. The SE rides on 16-inch wheels, while the SXT gets 17-inch wheels, and the R/T upgrades to 19-inch wheels. While the suspension, and in particular the Performance suspension, does a good job of absorbing the bumps and vibrations of rough roads, the Journey exhibits noticeable body lean at times, a number of drivers and reviewers note. The steering feels fairly light and responsive on front-wheel-drive trims, but can feel heavier and less responsive on all-wheel-drive trims, according to some reviewers. The Journey also gets nicks for seat comfort, especially for the driver's seat, which some reviewers find uncomfortable. In addition, the optional third row of seats feels very tight, with minimal legroom. Adults will feel more comfortable in the second row, which offers adequate legroom. The Journey excels when it comes to interior storage spaces, including innovative features like the Flip 'n Stow front seats (standard on SXT and R/T trims) and the in-floor storage bins in the second row. Other storage compartments are located in the doors, center console, and overhead console. The Journey's roomy interior emphasizes functionality over upscale features, such as those found in competing vehicles like the Honda CR-V and the Saturn VUE. In particular, many note the Journey's unpadded surfaces, oddly set instrument gauges, inconvenient placement of some buttons and knobs, and inexpensive-looking dashboard. In addition, the steering wheel blocks the driver's view of some instrument gauges, reviewers note. On the plus side, the Journey offers a spacious interior, with doors that open wide for easy entry to second- and third-row seating. Also on the plus side, the Journey offers plenty of features that will appeal to busy families, like the illuminated cupholders and Chill Zone storage bin. Second-row seats recline, adjust fore and aft, and fold flat to provide additional cargo space. Other standard interior features include dual-zone air-conditioning, child booster seats, power windows and door locks, and a six-speaker audio system with an in-dash 6-disc DVD/MP3 player. The SXT trims adds a six-way power-adjustable driver's seat, speed control, automatic headlights, Sirius satellite radio, and an available third-row seat. The R/T adds leather-trimmed seats, heated front seats, steering-wheel-mounted controls, heated exterior mirrors, keyless entry, and automatic dual-zone automatic climate control. Available features on all three trims include a rear DVD Video Entertainment System and a premium audio system with Infinity speakers and a 368-watt amplifier, as well as a power sunroof for SXT and R/T trims. In addition, for all trims, Dodge offers an optional UConnect multimedia system, which integrates radio, digital music, GPS navigation, and wireless cell phones. With the third-row seat in place, the Journey offers just 10.5 cubic feet of cargo space, but with two rows of seats instead of three, cargo space expands to 36.5 cubic feet, and maxes out at 66.6 cubic feet with the second-row seats folded down. In addition, in SXT and R/T trims, the passenger seat folds flat to provide additional cargo space. Some reviewers note the lack of a power liftgate for any Journey trim, either as a standard feature or optional equipment. All Journey trims keep family members in focus by including a lot of standard safety equipment, including four-wheel antilock brakes, dual front-side and side curtain airbags for all rows, rollover protection, traction control, and electronic roll mitigation. In addition, an Electronic Stability Program automatically applies brakes and adjusts the throttle in emergency situations to help drivers maintain control of the vehicle. The 2009 Dodge Journey earned top safety ratings from the National Highway Traffic Safety Administration, achieving five-star ratings for driver and front passenger protection in frontal crashes, and a five-star rating for side-impact protection. Other standard safety features include a tire pressure monitoring system. In addition, Dodge offers an optional ParkView rear backup camera for all trims. The camera works in conjunction with the UConnect system, displaying a wide-angle rear view on the UConnect system's display screen whenever the driver shifts into reverse. Owners report a few kinks in their first-year Journey crossover vehicles, including problems with the power steering, radio, sunroof, and interior fit and finish. Owners also report a high level of engine and road noise with the Journey, and some complain about uncomfortable seats, which becomes especially noticeable on long trips. In addition, the cupholders are too close to the gear shift, some owners report, making it difficult to remove drinks. Other owners have reported similar design issues with the Journey. On the positive side, many owners are enthusiastic about the vehicle and find it a good value. They like the Journey's many storage options, fuel economy, exterior styling, and overall smooth ride, although some report a bit of floatiness and bouncing over road bumps. CarGurus owners generally give the Journey good marks, and especially like its exterior styling, roomy interior, stable ride, and numerous storage compartments. Many recommend the Journey as a good alternative to the Dodge Grand Caravan minivan. 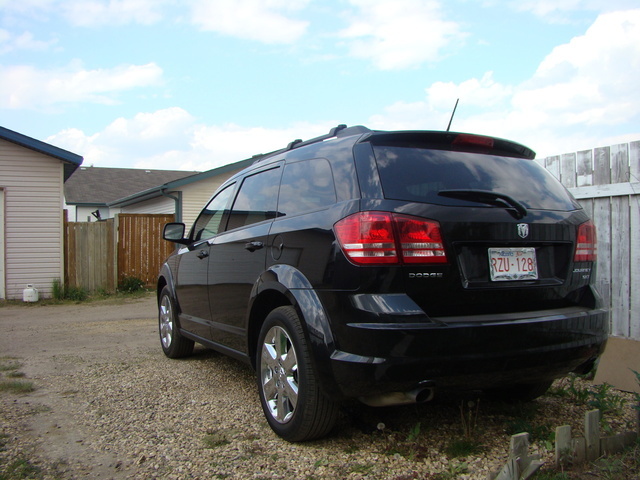 What's your take on the 2009 Dodge Journey? 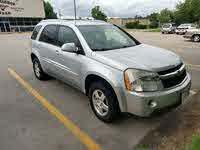 Have you driven a 2009 Dodge Journey? 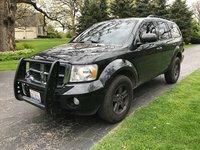 Hi got 2008 Dodge Journey until last week everything fine now when I lock car the interior lights stay on but if I pull 15 blue pier fuse all lights stay off but put back in lights stay on ? 2009 journey loud constant humming. Goes away if I turn right.